We offer a variety of chair cover styles and colours to choose from. Rentals starting @ 1.75 each. 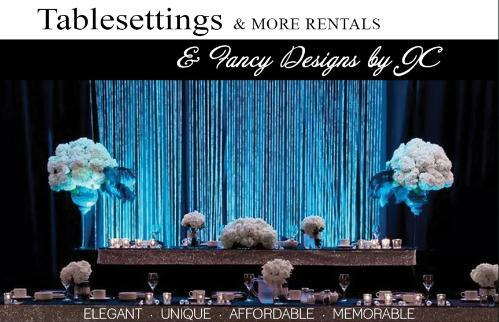 Table Settings & More Rentals. Your best choice for Elegant & Affordable table top items & Event Decor. table linens, napkins, chair covers and more. Rentals can be DIY or We can Do it For You! By appointment only. Please call or write to book an appointment.